Today is the last day of the Mare Nostrum series 2016. 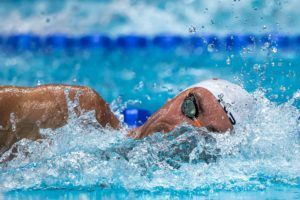 We saw many meet records – perhaps the international swim stars like Katinka Hosszu, Adam Peaty, Ruta Meilutyte, Marco Koch, Sarah Sjostrom will set some more in the finals this afternoon in Barcelona, Spain. 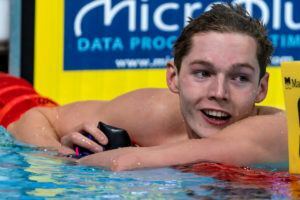 Stephen Milne took the win in the first race of the afternoon in a time of 15:12,33 followed by Marcelo Acosta in 15:15,20 – now men swam near the 15 minute mark – Gregrio Paltrinieri is at the moment the fastest man in the world in this season with a time of 14:34,04. All three ladies bettered their prelims times and top seeded Georgia Davies touched first in 27,84. With her winning time Davies now is on the 7th place in the world ranking. And there it is … the next MEET RECORD, set by Adam Peaty in 26,68, the second fastest time in the world 2016 – only Peaty himself has been faster in 26,66 at the European Championships three weeks ago. Also Brasil’s Felipe Franca da Silva dipped under the 27 seconds barrier and now sits on 2nd place in the world ranking. Sarah Sjostrom swam the first meet record on the women’s side in 25,27. Canada’s Katerine Savard and Penelope Oleksiak both finished second in 26,10. For Savard, this time is a season best. Kosuke Hagino dominated the 400 m IM race and finished first in 4:11,67, Germany’s Jacob Heidtmann hit the wall 2nd in 4:15,78, followed by Max Litchfield in 4:17,72. 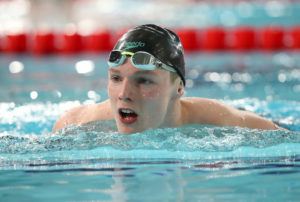 Hagino splits: 57,04, 2:01,65, 3:13,65, 4:11,67 – Jacob Heidtmann was the fastest swimmer on the last 50 m (freestyle) in 27,85, freestyle is his best stroke. It was Sarah Sjostrom to the wall first for the women’s 100 m freestyle, winning it in 53,96. Japan’s teenager Rikako Ikee touched second in 54,15 ahead of another 16-year old, Canada’s Penelope Oleksiak in 54,36. Germany’s Jan-Philip “Glaniator” Glania took the win 54,42. Augusto Guilherme and Chris Walker-Hebborn were close behind Glania, both in a time of 54,52. Ruta Meilutyte posted a very fast 1:06,00 for the win, she only finished faster at the Edingburgh International in 1:05,82 and ranked 3rd in the world so far. Great Britain’s Chloe Tutton earned second place in this event with a 1:07,74 ahead of Kanako Watanabe (1:08,10). Two men went under 22 seconds: Andriy Govorov in a new meet record of 21,61. He bettered his season best time by 0,01. 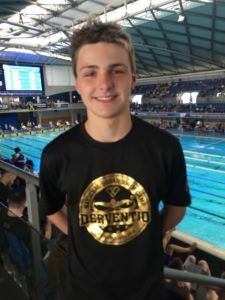 Benjamin Proud came in second in 21,85 – he is registered in the world ranking with a time of 21,65 at the moment. Brasil’s Italo Duarte finished third in 22,40. Katinka Hosszu grabbed her first win of the day, posting a 2:08,91 in the 200 m backstroke. It was a start-finish win for the Iron Lady. Daria Ustinova picked up second place in 2:08,91 followed by Germany’s Lisa Graf in 2:10,38. Hosszu and Ustinova are able to swim around 2:07. Marco Koch (2:09,05) and Anton Chupkov (2:09,24) dipped under the 2:10 barrier. Chupkov started out strong in front of Koch leading the 100 m in 1:02,73 and 150 m in 1:35,54 but Marco Koch had a faster finish and touched first. Ross Murdoch got to the wall third in 2:10,24. Natsumi Hoshi wasn’t able to better her own meet record (2:07,58), her winning time today was a 2:08,24. She was the only women under 2:10, Lara Grangeon finished second in 2:10,27 (season best: 2:07,87) and Canada’s Audrey Lacroix, born 1983, came in third in 2:10,32. Katinka Hosszu scratched this start. Top seed Chad le Clos did not swim in finals – and it was Germany’s Steffen Deibler who took the win in 52,19. 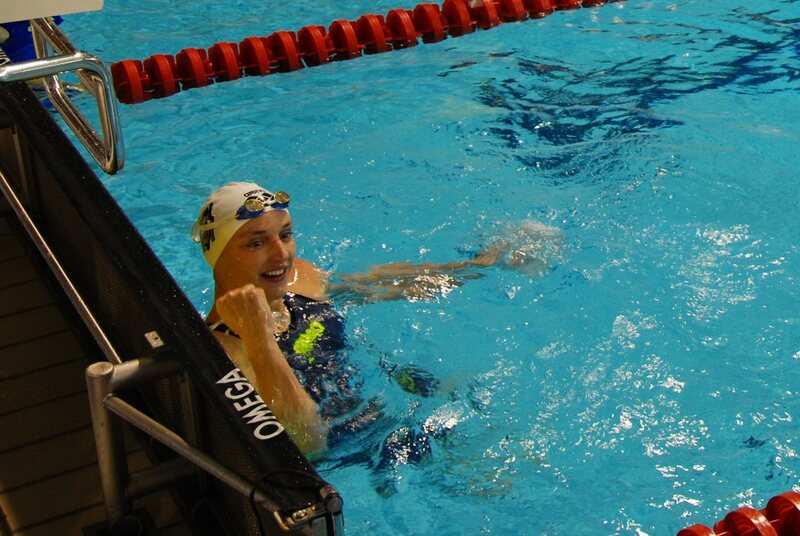 Katinka Hosszu won in 2:10,26, she set a 2:09,70 in prelims. 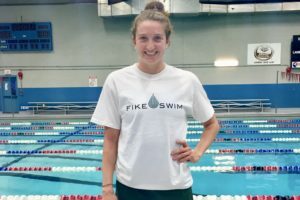 Victoria Andreeva touched in second in 2:11,64 followed by Alexandra Wenk (2:12,49) – Wenk broke the 35 years old German national record in the 200 m IM at the German National Championships in May with a time of 2:11,33. It was James Guy to the wall first in a new MEET RECORD, winning in 1:46,91. Chad Le Clos put up his fastest time this year in 1:47,11 for second ahead of Kosuke Hagino (1:47,56). 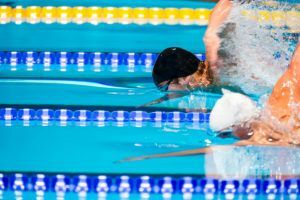 Guy and Hagino are among the five fastest swimmers in the world in 2016 in this event and both are able to stay under 1:46. Jazmin Carlin grabbed the win in 4:05,69 – she sits on 6th place in the world ranking with a time of 4:04,33. Great Britani’s Camilla Hattersley placed 2nd (4:09,39) ahead of Netherland’s Sharon van Rouwendaal in 4:10,33. 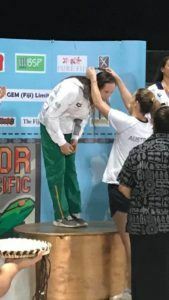 Katinka Hosszu finished 8th in this final in 4:23,56 – after two wins in the last two hours in the 200 m back and 200 m IM. Sometimes also the iron muscles get tired. Women’s 50 m Free results above look more like 100 m Free. Your are right! Thanks for the hint.